As the tsunami engulfing global markets in September 2008 crashed into Lehman Bros, a besieged Macquarie Group wasted little time swinging into action. Under attack from short selling hedge funds and with its share price plunging by half, Macquarie launched a concerted lobbying effort with the government and regulators. 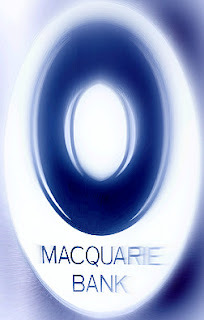 Documents obtained by BusinessDay under freedom of information laws reveal the haste and well-targeted strategy Macquarie employed as the maelstrom of the global financial crisis rocked banks around the world. Macquarie's efforts appear to have been brutally efficient. Within days ASIC would impose a ban on the short selling of financial stocks - an investment strategy used to make money by punting on a share price falling further - that would halt the precipitous plummet of the bank's shares. And within weeks, the government would implement a banking deposit guarantee and a wholesale lending agreement allowing Macquarie and other banks to use the government's stronger AAA rating to borrow money when credit markets were closed. The backroom dealing began within hours of the collapse of Lehman Bros on September 15, sparking the most intense phase of the global credit squeeze. Appearing to show uncommon haste, ASIC acted within two days of the first email flurry. On September 19, it banned naked short selling, effectively ending the rout in Macquarie shares, which surged 9 per cent that day. Within days, it fully banned short selling on financial stocks. But Macquarie was free to continue its trading activities, including short selling shares in other companies. By early October, the government had swung into action, guaranteeing all deposits and implementing a wholesale funding guarantee. Macquarie spared no effort to shore up support. BusinessDay understands that as part of its lobbying effort, Burns met the then financial services minister Nick Sherry to push for a ban on short selling. It is understood Macquarie's chief executive, Nicholas Moore, also met Sherry.